Before the collapse of the Skagit River Bridge in Mount Vernon back on May 23 of this year, most drivers in Washington state were likely unaware there was any risk that a bridge could collapse while vehicles were being transported along it. But for Dan and Sally Sligh, who were innocently riding in their vehicle when the Interstate 5 bridge collapsed, the injuries that can result from a bridge collapse are very real. And according to an in-depth analysis conducted by the Associated Press, there are dozens of other dangerous bridges throughout Washington state that are in a significant state of disrepair and could collapse if another collision similar to the one that occurred on the Skagit River Bridge were to occur. You may recall that although the investigation into the collapse of the Skagit River Bridge is ongoing, transportation officials believe that the bridge’s collapse was caused by an oversized semi truck that crashed into the bridge’s support beams. The bridge collapsed seconds after the impact occurred and left the Slighs waiting for rescue crews as they floated in the river with significant injuries. 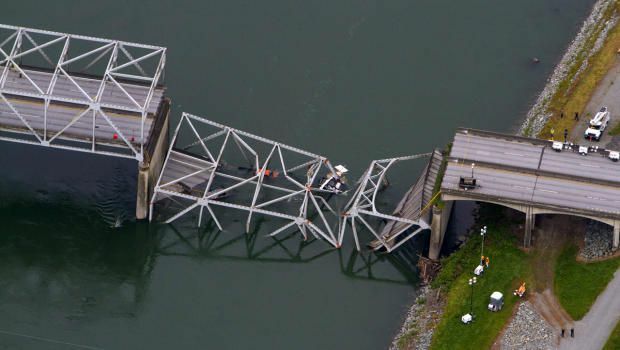 Since the collapse of the Skagit River Bridge in Mount Vernon, it has been revealed that the design of that particular bridge – along with several more throughout the state – was built with a 1950s-era design that is now referred to as fracture-critical, which means that a failure to a key component of the bridge could cause an entire section to collapse, which is essentially what happened with the Skagit bridge. According to the Associated Press report, there are dozens of bridges throughout the state that are currently considered structurally deficient, meaning that the bridge is in need of rehabilitation or replacement because there is at least one major component that is determined to be in poor or worse condition. The bridge in Mount Vernon was not considered structurally deficient at the time of the accident, yet the impact was still forceful enough to cause the entire section to collapse. The fact that there are approximately 50 more bridges in Washington that are said to be in worse condition than the Skagit River Bridge suggests that drivers all across the state are at risk of injury from a potential collapsing bridge. In all, the Associated Press analysis looked into 607,380 bridges throughout the United States that were listed in the federal government’s National Bridge Inventory. Throughout the U.S., the analysis found more than 65,000 bridges classified as structurally deficient and over 20,000 more that were fracture critical. Of all these bridges, almost 8,000 were listed both structurally deficient and fracture critical.